Ferran Savall and Shantala Shivalingappa collaborated for the first time in 2005. In 2007, Pina Bausch chose a song recorded live in concert by Ferran, to accompany the Solo that she created for Shantala. This piece, integrated in a show called “Namasya”, toured around the world. Then in 2008, Shantala requested Ferran’s presence on stage for a special private program for the French fashion house Hermès. In 2010, the two artists met again for the Festival Divinamente Roma where they premiered Bhavana, with Mario Mas playing Spanish guitar. Now, initiated by the prestigious Mercat de les Flors (Barcelone) and its director Francesc Casadeus, these two artists once more gather around a common project, on the occasion of the release of Ferran’s new album titled IMPRO. 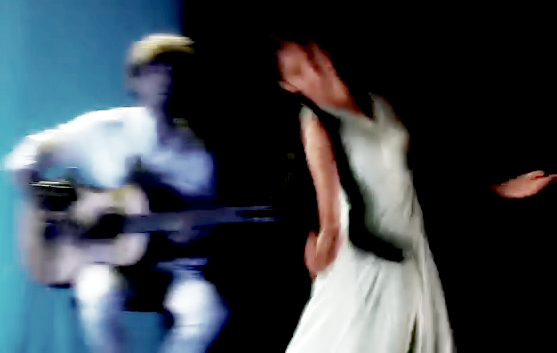 This “concert for a dancer” is created around a subtle blend of Ferran’s music and Shantala’s unique dancing, accopanied by Driss El Manouni (Oud), David Mayoral (Percussion), Jordi Gaspar (Double bass and Acoustic bass), Nedyalko Nedyalkov (Kaval), the music and movement shaping each other. Word Premiere on December 2014, co-produce by the Mercat de les Flors of Barcelona and festival Temporada Alta of Girona (Spain) and FIND – India-Europe Fondation for New Dialogues (Roma, it). IMPRO SHARANA – Interview of Shantala Shivalingappa from India Europe Foundation – FIND on Vimeo.